Kyma allowed me to modulate and morph my own voice into other sounds… It was in the ambience of the film itself, almost as if only the idea of Nemo was out there, tormenting his father. You’ve already heard the sounds of Kyma in films like WALL•E, The Dark Knight, Master and Commander, Finding Nemo and in games like World of Warcraft, Quake II, Mirror’s Edge, Dark Messiah, and Mage Knight. And you’ve heard the interactive musical sounds of Kyma both on albums and in live sets by legendary musicians and producers like John Paul Jones, A.R. Rahman, Amon Tobin, Stanley Cowell, Rich Costey, Cristian Vogel, and many more. It’s unbelievably deep… and it sounds incredible. Pour un compositeur, c’est comme être Dieu. It’s very addictive! Kyma let’s me do everything I want, the only limit is my mind. Every idea generates three new ideas and each one of them generates another three – it’s endless! The wonderful thing about working with Kyma is that, like any good art form, the more you do it, the more ideas it generates. 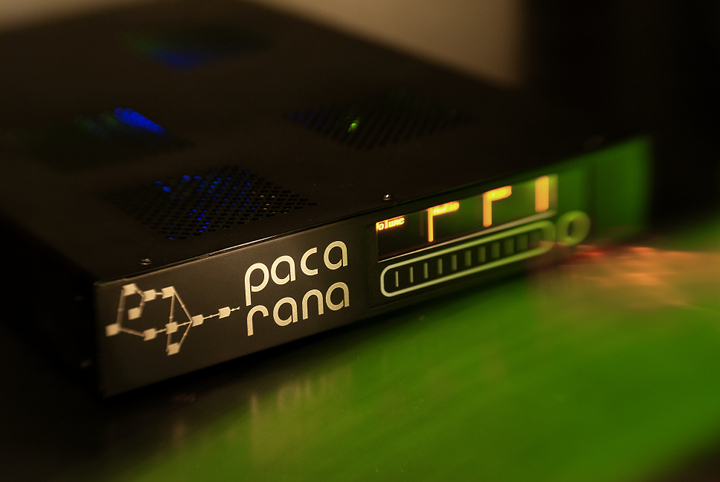 …some may call it a sound supercomputer or a sound designer’s dream come true…The hardware component, called the Pacarana, combined with the powerful software makes Kyma a truly innovative approach to sound. The Pacarana is a small but powerful multiprocessor computer that sits unobtrusively alongside your Mac or PC and does all the sound synthesis and processing. Like any computer, the function of the Pacarana is defined by its software. Unlike other computers, the Pacarana doesn’t have to run a huge general-purpose operating system with elaborate GUIs and multiple independent processes that can interrupt each other at any time. With the Pacarana, all compute cycles are dedicated to sound; you don’t have to share it with any other tasks.The Pacarana was designed specifically for doing sound computation. At Symbolic Sound, audio signal processing is our first priority and our only priority. When you have a computer dedicated entirely to capturing, processing, and synthesizing sound, you have the luxury of being able to do things right. We don’t cut corners, and you can hear the difference. 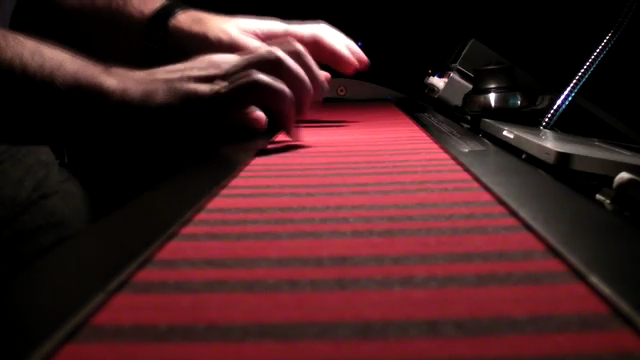 To launch these explorations, Cowell uses a powerful computer system called Kyma to introduce a panoramic sweep of timbre and tonality, and the musical results on Welcome To This New World are very new indeed. The secret of Minibus Pimps’ colossal sonic gas giants is their use of the Kyma computer system (created by Symbolic Sound)…the tracks are scintillating exercises in bending timbres and refracting sound signals. Kyma computes the signal flow path on each and every sample, eliminating latency-inducing pipeline and buffer delays. What that means for you is minimal input-to-output delay and maximally responsive realtime controllers. In other words, with a Kyma system, you can create a reliable, reactive, performable musical instrument and live processing that you can take out on stage with total confidence. Or create creature voices that respond to a voice-actor’s subtle voice modulations. Or perform sound FX live to picture in the same refined and nuanced way that a musician performs an acoustic instrument. When at a live performance the software on our backup Macbook crashed but my Kyma Mac and the Pacarana kept on running till the performance was over and nobody noticed. Every time I’ve seen a Kyma piece on a program it’s always generally been the best piece on that concert. “It never crashes” — it’s a phrase we hear over and over from people who are using Kyma for live musical and theatrical performances. Computing the audio on the Paca(rana) protects you from changes in your laptop’s operating system and the vagaries of running multiple, potentially incompatible sound-generating applications from multiple vendors in the same environment. The unique thing about Kyma, I find, is that it appeals to such a wide spectrum of people doing such an amazingly diverse set of things, but sharing a common language. Kyma reflects the ideas and responses from the independent-minded, intelligent, curious, creative sound professionals who make up the Kyma Community, the years of graduate study in computer science, electrical engineering, music composition, and digital signal processing of the creators, and over 30 years of passionate dedication to sound. All of this expertise and love for sound and engineering is embedded in the software and hardware of Kyma so you can instantly tap into the minds of the Kyma creators and the Kyma community. Kyma X is a perfect example of how hardware-accelerated tools can still beat software by a wide margin. There is no software or bundle of soft tools that can come close to the power, expandability, and flexibility that Kyma offers. 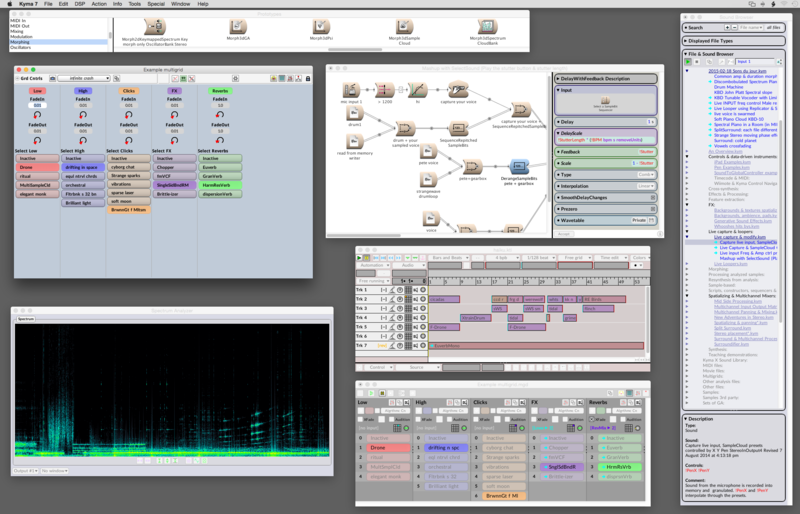 This hardware-meets-software audio construction kit is, quite simply, the Holy Grail of sound design. Start benefitting from access to the same sound design environment used by top sound designers, musicians, and researchers all over the world. 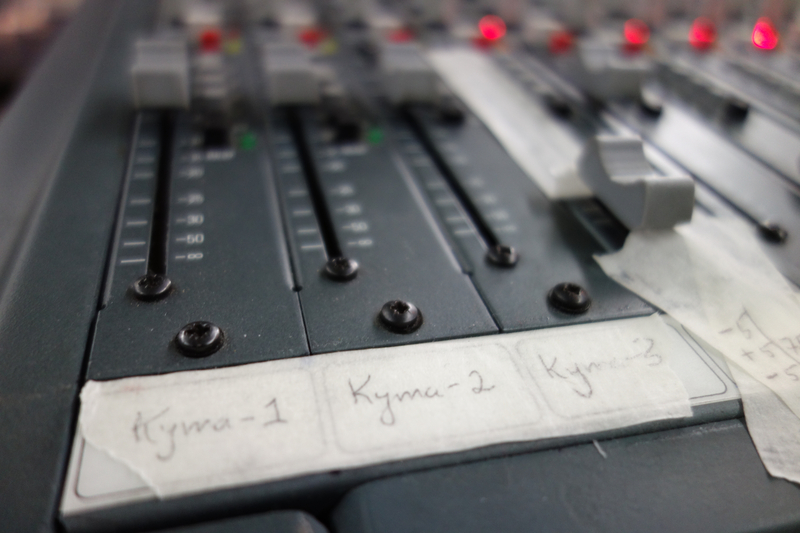 If you’re serious about live sound and sound design, you can’t afford not to get into Kyma. Order your Kyma System from the Symbolic Sound web site, and we will ship it directly to you at your address anywhere in the world.